Pittcraft is now the Official Printing Company of the MIAA! As a company infused with a passion for sports, we couldn’t be more thrilled at this opportunity. The Mid-America Intercollegiate Athletics Association, a member of the NCAA’s Division II for all sports, is a highly competitive, fourteen-school Conference, headquartered in Kansas City, Missouri. 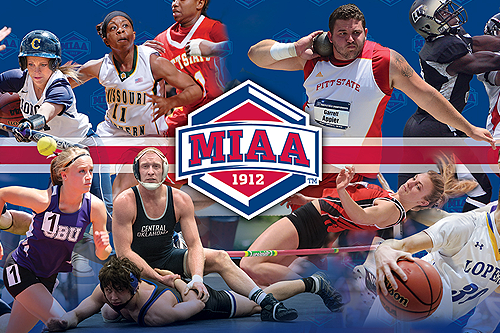 The MIAA currently sponsors ten men’s and ten women’s sports. The MIAA’s membership list has changed significantly over the past century. The conference was first founded in 1912 and included five public and nine private colleges and universities. Beginning in 1924, the MIAA removed private schools from the conference – Southwest Baptist University is currently the only private member of the MIAA. From 1912 to the present, over twenty institutions have joined and left the conference. Current members include University of Central Missouri, University of Central Oklahoma, Emporia State University, Fort Hays State University, Lincoln University, Lindenwood University, Missouri Southern State University, Missouri Western State University, University of Nebraska at Kearney, Northeastern State University, Northwest Missouri State University, Pittsburg State University, Southwest Baptist University, and Washburn University.